A number of sources (including the Wall Street Journal) report that someone has used the White House's "We the People" website to start a petition asking it to create a "Do Not Kill" list similar to the "Do Not Call" list that has been reasonably successful against telemarketers. This follows the New York Times report that every week or so, a bunch of National Security People get together to flip through some PowerPoint slides and "recommend to the president who should be the next to die." 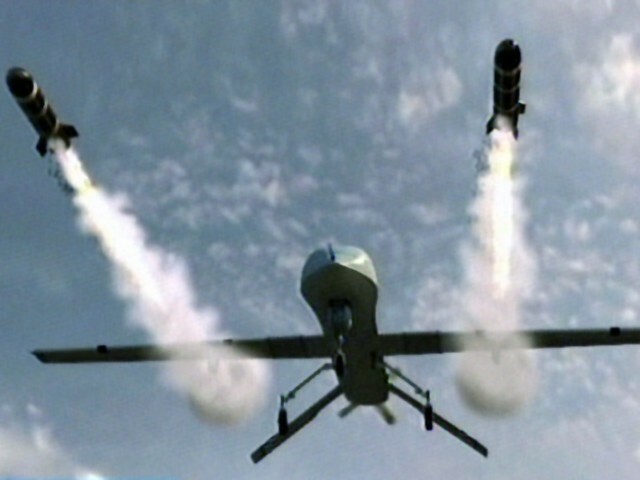 The president, who you may recall won the Nobel Peace Prize in 2009, then personally approves names on the "kill list" for execution targeted killing by drone. As I have explained before, I get just as excited about a good airstrike as any American, and have no sympathy for actual al-Qaeda members, but am a little concerned about our government bombing U.S. citizens (or anybody, really) without actually having to prove they are al-Qaeda members. At least three citizens have been droned in this way so far. (This is not to say that bombing non-U.S.-citizens without a trial is a good thing, it's just less clearly illegal.) Hence the theoretical appeal of a "Do Not Kill" list. [The rule] in effect counts all military-age males in a strike zone as combatants, according to several administration officials, unless there is explicit intelligence posthumously proving them innocent. Counterterrorism officials insist this approach is one of simple logic: people in an area of known terrorist activity, or found with a top Qaeda operative, are probably up to no good. All perfectly legal under the Fifth Amendment, of course, which provides that no person shall be "deprived of life, liberty, or property, unless he is probably up to no good." And under the strike-zone rule, you also don't have to worry about killing foreign civilians, because there aren't any, at least not near your bomb. "This counting method," the Times says with some understatement, "may partly explain the official claims of extraordinarily low collateral deaths." You think? Probably the administration won't let you take your name off the list, and in fact I suppose signing the petition might very slightly increase the chances that your face will appear on a poorly designed PowerPoint slide. To me it's worth it to get a look at what sort of explanation the interns who run the site might come up with. Maybe they'll screw up and post the mysterious memo that supposedly explains the legal basis for "targeted killing" of citizens. That's probably the only way we'll ever get a look at it.